Veggimins was founded on the belief that the quality of what we consume has the power to impact every aspect of our health. When it comes to truly absorbing and utilizing nutrients and beneficial compounds, synthetics and isolates hold nothing on the power of broad-spectrum nutrition delivered directly from Mother Nature herself. We are simply designed that way. 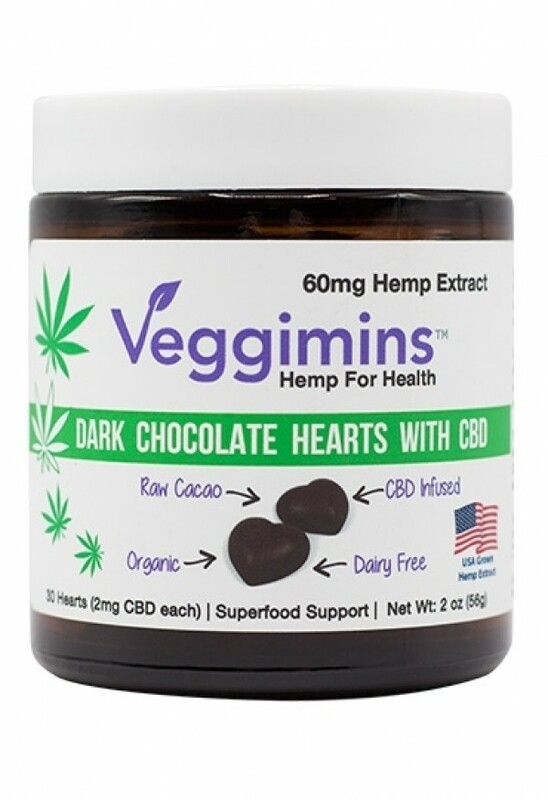 The range of hemp CBD superfoods and supplements include synergistic blends of some of the planet’s most nutrient dense and health-promoting foods – always raw, additive-free, and minimally processed to preserve vital nutrition and life energy. Their broad spectrum Hemp CBD is CO2 cold extracted and both grown and processed within the USA. The products are made in-house in a certified organic, GMP certified, vegan, gluten-free, wheat-free, soy-free, dairy-free, and peanut-free facility. 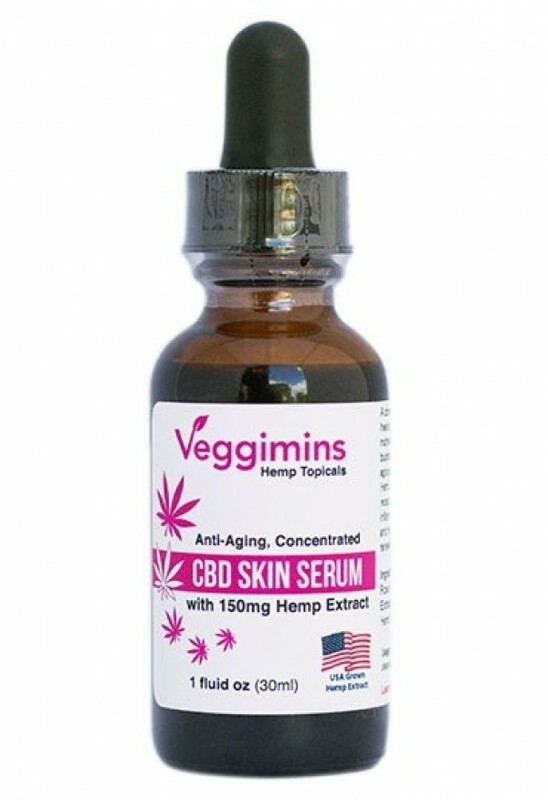 This CBD serum is a delight for the skin! It applies easily on a clean damp face and takes a few moments to fully absorb. The amazing results are nearly immediate, after just a few days of using it twice a day my skin looks younger, fresher and any previous redness has diminished. Our handcrafted raw chocolate hearts are stone ground in small batches from just 3 organic ingredients: fairly traded raw cacao, mineral-rich coconut sugar, and luscious cacao butter. The end result is the perfect antioxidant-packed delivery medium for 2mg of pure cannabidiol hemp oil (CBD), extracted without the use of solvents. Your entire body will feel the love with every bite.